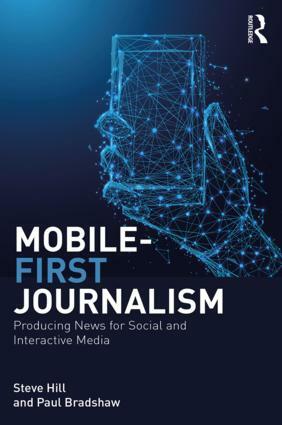 Reuters has been among the leading news organizations in its use of Internet technology, both in its forays into citizen participation in the developed and developing worlds, and in experimenting with audio visual tools to offer fine narrative journalism. Following the success of its online documentary on the Iraq war last year, Bearing Witness, Reuters recently produced another interactive multimedia time line, this one elucidating on the impact of the current financial crisis. In Bearing Witness, the agency brought together five years of reporting from 100 correspondents and photographers to give a comprehensive account of significant events that transpired during half a decade of the war, from reasons that led to the conflict, recounts of battles in various Iraqi cities from Baghdad to Fallujah, the army offensive led by the US and its allies, and political, economic, and social consequences. In addition to offering personal accounts from its reporters, the project illustrates numbers and statistics through elaborate infographics. The Times of Crisis project offers a peak into the impact of the current financial disaster over the course of a year since it was first set off by the collapse of Lehman Brothers. It is a compelling narrative not only in terms of its rich multimedia interactivity, but also in what it brings in terms of the human face of the impact, providing anecdotes and stories from real people. Q. What inspired Reuters to do this? What was your main motive behind the two projects? We were first inspired to produce Bearing Witness to mark half a decade of war in Iraq – a story to which Reuters has dedicated a team of 100 correspondents, photographers, cameramen and editorial support staff. The conflict has been the most dangerous in history for the press. 139 journalists and 51 media support staff have been killed (latest figures from CPJ) including seven Reuters colleagues. Our ambition was to go much further than simply repackage our coverage. We sought to tell the wider story through reflection and behind the scenes perspectives of conflict reporting. Bearing Witness received exceptionally positive feedback and picked up a string of awards in the US, UK, France and Italy. We chose the financial crisis for our next initiative – undoubtedly one of the biggest stories of our times and one which Reuters is able to tell with exceptional depth with its financial expertise. Whereas most news coverage has understandably focused on the local and regional effects of the crisis, ours would attempt to show its global significance. Chronology is the natural backbone of a wire news agency. We wanted to re-imagine the classical news “time line” with a much more visual approach. Q. As someone that coordinates such visual projects, I was wondering if you could shed some light on how a story is approached differently for multimedia vs. text. Is there a different philosophy when a journalist has to let pictures and videos tell a story without getting in the way of it? There is no one multimedia model. We try to embark upon each project with fresh eyes. Each subject determines its own mix of special reporting, research and interactive design. Unlike automated feed and search-based approaches, we would manually curate the story for quality and cohesion. Through 15 streams of information spanning news, visuals and data, we carefully pieced together this puzzle into a single fluid narrative – putting the story in its total cross-media context in a way only multimedia can achieve. Q. Do you feel that these sorts of multimedia projects afford people deep, contextual knowledge without them having to go through 20 odd pages of print to get the same breadth of detail? In other words, can this sort of journalism replace traditional reported pieces? Photography in particular is unparalleled at conveying information with power and immediacy. We would weave together stories, pictures, video, graphics and data so that each piece of information advances the story within an immersive mixed-media experience. This accessible framework would deliver both immediate impact and greater depth for those that sought it. There are different degrees of production and in-depth multimedia is not a replacement for existing forms of journalism. However, for the appropriate subject, it can deliver unequalled emotion, clarity and understanding. Q. In countries and regions where high-speed Internet is still not very prevalent and where broadband is not accessible, could such stories pose limits on readership, as they tend to be time consuming and extensive? Is that a problem? Lack of broadband connectivity is a barrier for many, but multimedia need not always equate to bandwidth-intensive video. Our interactive visual timeline is a case in point. I would argue that language and complete lack of connectivity for many are greater barriers. That said, rebranded editions of Times of Crisis were simultaneously launched on client web sites from Australia to France, Germany to the Gulf. Whereas Reuters content traditionally feeds into our clients’ products, this shows how we can be end-producers for our clients on stories with global resonance. Q. Despite the effectiveness of such multimedia projects, why do you think more mainstream organizations are not doing these types of stories? Did Reuters encounter any resistance when you embarked on these initiatives? Rich multimedia demands editorial time and creative resources, as does all special coverage. For those willing to invest in production, the reward is compelling, distinctive site-building content. Finding new ways to engage audiences has to be a key step towards securing new streams of revenue. Reuters has the advantage of a truly global presence and teams working in every medium. We continue to use this basis to explore new approaches to information gathering, visualisation and interactivity to evolve storytelling. 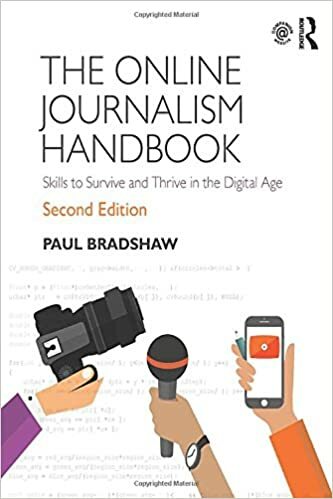 This entry was posted in online journalism and tagged karthikaswamy, multimedia, narrative, online journalism, Reuters on October 5, 2009 by Paul Bradshaw.